Glasgow Green, Greendyke Street, Glasgow, G1 5DB. The postcode is G1 5DB - Glasgow Green, Greendyke Street, Glasgow. Please note parking will be limited within the park so please make sure you check all options to ensure you arrive with plenty of time to spare. There is parking in and around the park. Please ensure you plan your journey to arrive with plenty of time to spare. Registration will be open from 8.15am and will close at 10.20am so please arrive nice and early. All Mini MoRunners must be back across the finish line by 10.50am ahead of the 5k event at 11.05am and the 10k event at 11.15am. Please note that following our Mini Mo event at 10.30am we wll be pausing for a 2 minute silence at 11am in respect of Remembrance Sunday. We will then proceed with our 5k and 10k events starting shortly after. We fully respect Remembrance Sunday and the Armed Forces and will mark this at the event. We do hope you will join us in this. The fancy dress competition will take place for the adults at 1030am once the Mini MoRun is underway. If you want to be in the Fancy dress showdown make sure you line up between the fancy dress flags by 1025am latest. There will also be spot prizes for best dressed Mini MoRunners when they cross the finish line. Please note for the 5k and 10k MoRun placings are based on Gun time. So if you are in it to win it aim to get to the front for the start. Gun time is from when the race starts i.e. 11.05am. You will receive both your gun time and net time - your net time is your actual 10k time from when you cross the starting mats to when you cross the finish line. 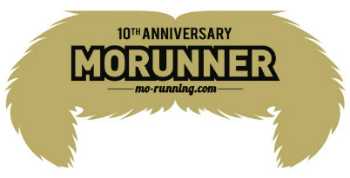 Everyone will receive a very cool MoRunning medal and there are also a few special Mo Medals up for grabs for best dressed, fastest Mo, legends of MoRunning and many more. Entries close on the 5th November, 2019. Event prices exclude 10% booking fee. 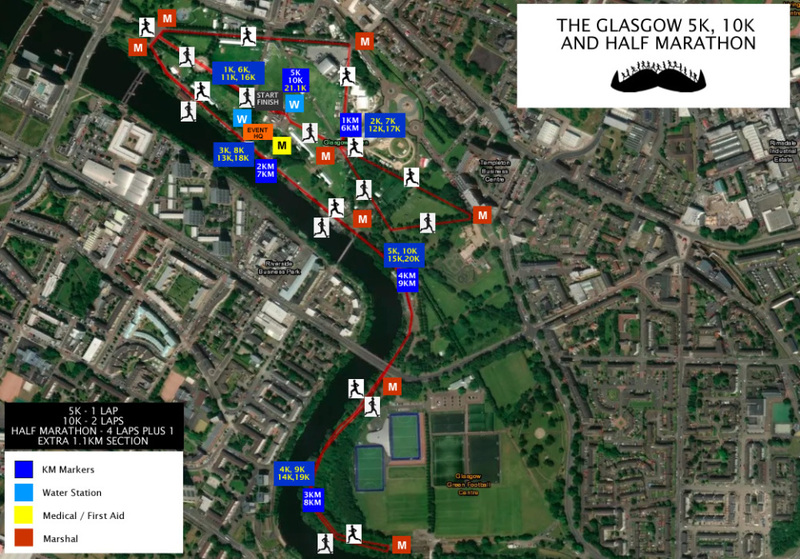 Get ready Glasgow to MoRun around the stunning Glasgow Green! Course details: The run route is mainly tarmac paths - flat - dog friendly - ok for buggy running - suitable for wheelchair users however a few sections are tight and may be slightly bumpy - The 5k is one lap and the 10k is two laps.